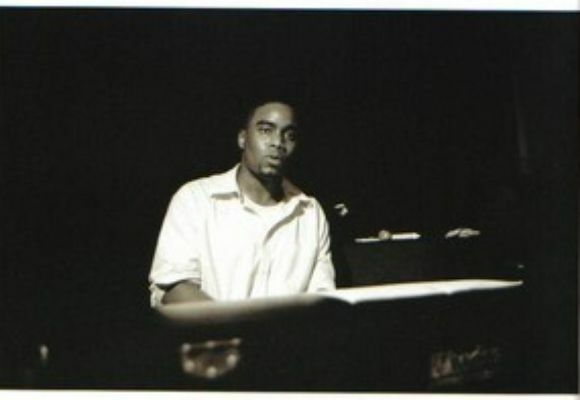 Pianist/Composer/Multi-Instrumentalist David Bryant is a world-class artist. Few musicians today match the versatility, originality, and sensitivity that he brings to the music. He combines an extensive knowledge of the jazz tradition and other diverse musical idioms, as well an individualistic approach and sound. After listening to albums such as Marcus Strickland's Of Song and Steve Davis' Outlook; it is no surprise that Mr. Bryant is quickly rising to the top of the international jazz scene. David Bryant was born 1983 in Brooklyn, NY. As a member of a family that encouraged a strong musical upbringing, David started playing piano at age 4. By age 8, he was already competing and ranking in some of the New York area's most prestigious youth classical piano competitions, such as BACA and the Queens College Festival of Music Competition. David also began playing cello and trumpet, performing with youth symphonies and chamber music programs on all three instruments. As a result of his dedication, he was accepted to New York's prestigious LaGuardia High School of Music and Arts. It was here that David became interested in jazz. While at LaGuardia, David quickly became an integral part of the Senior Jazz Band and combos as well as the All-City Jazz Band. He won the "Outstanding Soloist" award at Lincoln Center's Essentially Ellington competition, as well as being invited to participate in the Monterey Jazz Festival. His senior year he was selected to the Grammy Foundation's All-American Jazz Big Band. In 2001, he received a scholarship to study at the New England Conservatory. He made the most of this opportunity quickly becoming a rising star in Boston's jazz scene. As well as joining the Boston Jazz Reparatory Orchestra (BJRO), he performed weekly at Wally's Jazz Café and Jordan Hall while also performing at Ryles and the Regatta Bar. In 2005 he graduated with a degree in Jazz Performance and a distinction in music. After moving back to New York, David established himself as a musical force. He is featured as a sideman on albums such as Outlook by Steve Davis, Jade Tongue by Jen Shyu, Continuum by Eric McPherson, Of Song by Marcus Strickland, Future by McPherson & Abraham Burton, as well as being featured on The Leatherheads Soundtrack. He has also played with the likes of Christian McBride, Ravi Coltrane, Roy Haynes, Dave Holland, Wynton Marsalis, Delfeayo Marsalis, Louis Hayes, Steve Coleman, Kenny Wheeler, Bob Brookmeyer, and Jimmy Heath. In these and other groups, he has performed extensively in festivals, halls, and clubs throughout the world, including; North Sea Jazz Festival, Pori Jazz Festival, Stockholm Jazz Festival, Canary Islands Music Festival, Jazz on the River in St. Petersburg, Guimarães Jazz Festival in Portugal, Monterey Jazz Festival, Carnegie Hall, House of Blues and Jazz in Shanghai, as well as many other venues internationally. David currently resides in Brooklyn. He is currently working on his own recording projects which feature his skills as a composer, electronic musical producer, and multi-instrumentalist.